The legislation to repeal major portions of Obamacare would reduce federal deficits by $150 billion over 10 years, according to the revised estimates. The original bill would have lowered the deficits by $337 billion. The new score comes as House Republicans frantically try to shore up support for the bill. 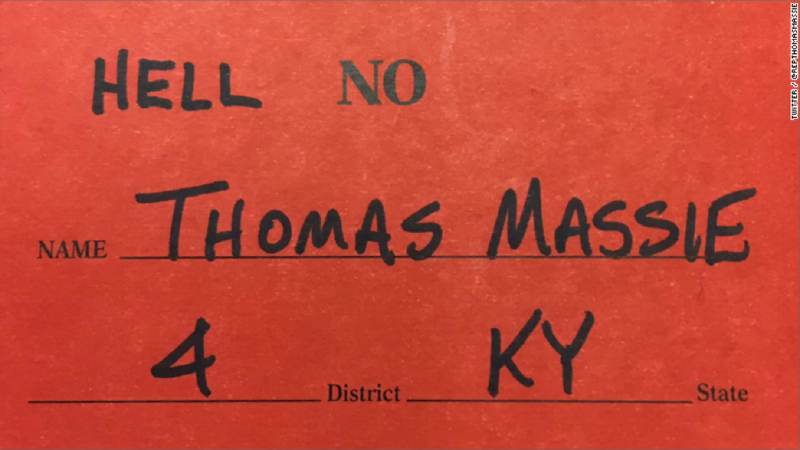 House leaders were forced to postpone voting on the measure Thursday, as conservative members continued to oppose it. The agency revised its figures to reflect amendments made to the bill that were announced on Monday. The new numbers do not take into account a deal underway to woo House conservatives to support the measure. Though the bill would be more costly, it would still leave 24 million fewer people insured than under current law. Some 52 million people would be uninsured in 2026 under the GOP legislation, compared to 28 million if Obamacare continued -- the same as the prior estimate. Also, it did not change the agency's outlook on premiums, which it expects would be higher initially, but then roughly 10% lower than Obamacare by 2026. The initial score sparked outrage and concern that so many people would be left uninsured. Under Obamacare, the uninsured rate fell to the lowest level on record. Much of the added costs stem from letting taxpayers deduct more of their medical expenses and repealing a slew of Obamacare taxes -- include two levied on higher-income Americans -- a year earlier. The House purposely made legislation more expensive so the Senate could provide more generous tax credits to older consumers shopping in the individual market. House GOP lawmakers have come under fire because their bill would cause premiums to spike for those in their 50s and early 60s. Funding for the additional tax credits -- which will be crafted by the Senate -- would come by allowing taxpayers to deduct medical expenses that exceed 5.8% of their income, according to a House staffer. The change would give the Senate $90 billion over 10 years to work with, the CBO found. The original GOP bill set that threshold at 7.5%. Under Obamacare, taxpayers could only deduct medical costs greater than 10% of their income. Other amendments to the original bill were mainly aimed at toughening Medicaid rules for adults, but making some allowances for the disabled and elderly covered by the program. Overall, that makes the bill more expensive, increasing the cost by $41 billion over a decade.